The Japanese yen has slipped to its lowest level against its major currency counterparts in 2019 on Tuesday. Because of soft economic data and the central bank maintaining an accommodative monetary policy, analysts feel that Tokyo’s economic growth could be threatened in 2019, sending the yen lower. The latest reports suggest that Japanese manufacturing and services reports contracted. Tertiary Industry Activity Index, a measurement of the value of services bought by companies, declined 0.3%. This is the third decrease in four months. In January, the Preliminary Machine Tool Orders slipped for the fourth consecutive month, plunging 18.8%. In total, orders fell to ¥125.4 billion ($11.34 billion), which represents the lowest level since February 2017. This does indicate that the global economic slowdown is impacting both Japan and the rest of the world. This comes days after the government reported that average cash earnings rose 1.8% in December, while householding spending edged up 0.1%. Moreover, the central bank confirmed that bank lending advanced 2.4% last month, and the current account surplus surged to ¥1.56 trillion ($141 billion). Meanwhile, the Bank of Japan (BOJ) has faced heavy criticism for inflation levels hovering below the 2% target range, even with ultra-loose monetary policy of historically low interest rates and quantitative easing. Prime Minister Shinzo Abe has defended the central bank, telling lawmakers that he accepts the BOJ’s explanation for citing weak crude oil prices and the country’s deflationary opinions for low inflation levels. And the BOJ is not being clandestine about growth levels, warning about protectionism and soft global demand that could threaten the Japanese economy. Markets will pay close attention to this week’s US-China trade talks in Beijing. Investor sentiment is bullish as experts believe key developments will take place in these meetings. 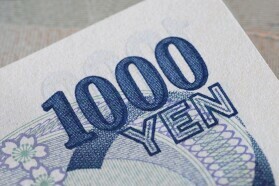 The USD/JPY currency pair rose 0.1% to 110.49, from an opening of 110.38, at 16:31 GMT on Tuesday. The EUR/JPY climbed 0.48% to 125.09, from an opening of 124.48.